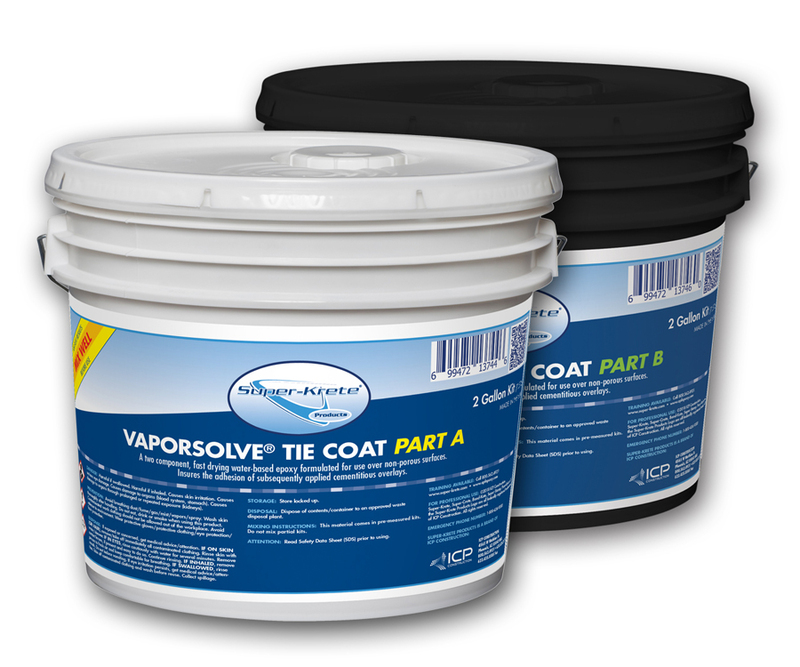 VaporSolve® Tie Coat is a two component, fast drying water-based epoxy formulated for use over non-porous surfaces such as APF's VaporSolve® Moisture Remediation Systems. It insures the adhesion of subsequently applied cementitious overlays. VaporSolve® Tie Coat adheres tenaciously to hard glossy surfaces and provides an excellent bonding surface for the overlay. It dries in 30-60 minutes depending upon job conditions and is safe and easy to use.